As volunteers, donors, fosters, trainers, adopters, and veterinary care partners, you have made it possible for Last Hope K9 Rescue to save 1,202 happy dogs in 2017. In a year of so many natural disasters, we were all tested with unprecedented demand. In response to this challenge, we learned that Last Hope K9 must build operational scale with a self-run quarantine and boarding facility. Alex Monahan will shift his broad operational oversight of Last Hope K9 to cultivating strategic long-term initiatives and partnerships as a Board member. As he moves on from Executive Director, we salute Alex’s stewardship of Last Hope K9 over the past four years. His business savvy has aided more than 5,800 successful adoptions, growing Last Hope K9 to this region’s largest foster-based nonprofit dog rescue. We are thrilled to retain Alex’s trademark leadership toward these mission-critical initiatives as he reclaims some well-deserved free time! The great news is that this change will be a seamless pass of the baton, as Assistant Director Kelli Leahy becomes our new Executive Director! 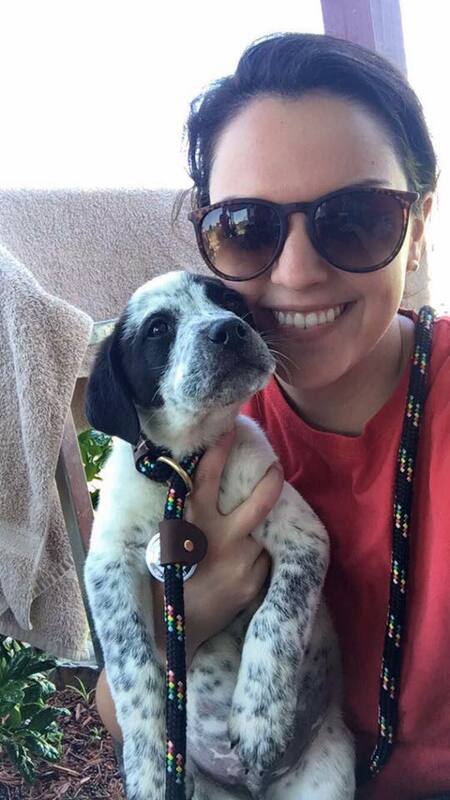 Everyone knows Kelli, because there probably isn’t a volunteer position with the Rescue that she hasn’t held since becoming involved in 2013. Her work as our Home Visit Coordinator and as a valued member of Last Hope K9’s Adoptions, Search, and Medical Teams advantageously equips Kelli with the knowledge needed to lead our day-to-day operations. Kelli has already hit the ground running, and she invites you to contribute to her transitional ‘listening tour’ by reaching out with your ideas and interests: kelli@lasthopek9.org. It’s Easy to Help a Dog Who Needs You. Before you flip to next year’s calendar, if you didn’t find what you hoped for under the tree, or discovered someone on your ‘nice’ list you’d like to honor, a tax-deductible tribute to Last Hope K9 Rescue is a special gift that makes happy memories for years to come! This organization is a haven of rewarding volunteer resolutions! Just look into the eyes of a frightened dog in need of a new home, or listen to the heavy sigh of a dog who has finally found bliss, and you’ll find a place for you in 2018. Simply click the links below that best describe your interests and help us to expand our extended family by sharing. BOSTON, MA (October 04, 2017) – Last Hope K9 Rescue (LHK9), New England’s largest volunteer-run, foster-based dog rescue and rehoming non-profit, announces it is receiving and providing temporary foster homes to 30 dogs from the Animal Care Center of St. John (ACC). St. John, the smallest of the US Virgin Islands, was devastated by Hurricanes Irma and Maria, catastrophic Category 5 storms that ravaged the Islands on September 6. 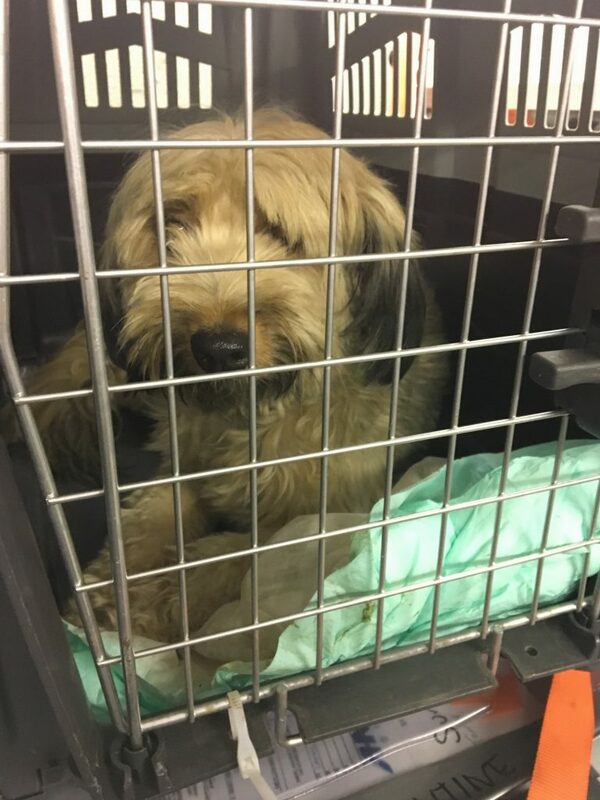 The dogs, all of which were in the shelter’s care prior to the storm, touched down at Nashua Airport last night around 7:30pm. 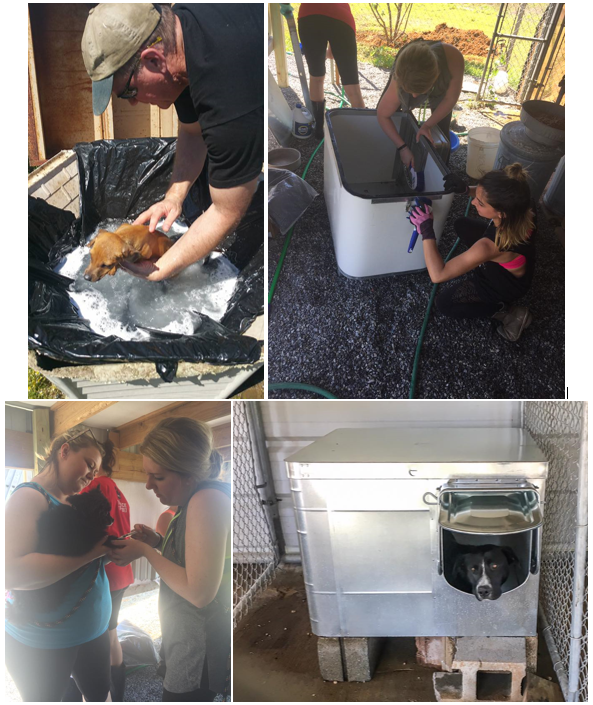 LKH9 had four volunteers onsite to assist in unloading nearly 100 cats and dogs, 29 of which were reunited with owners who were forced to evacuate St. John without their pets. 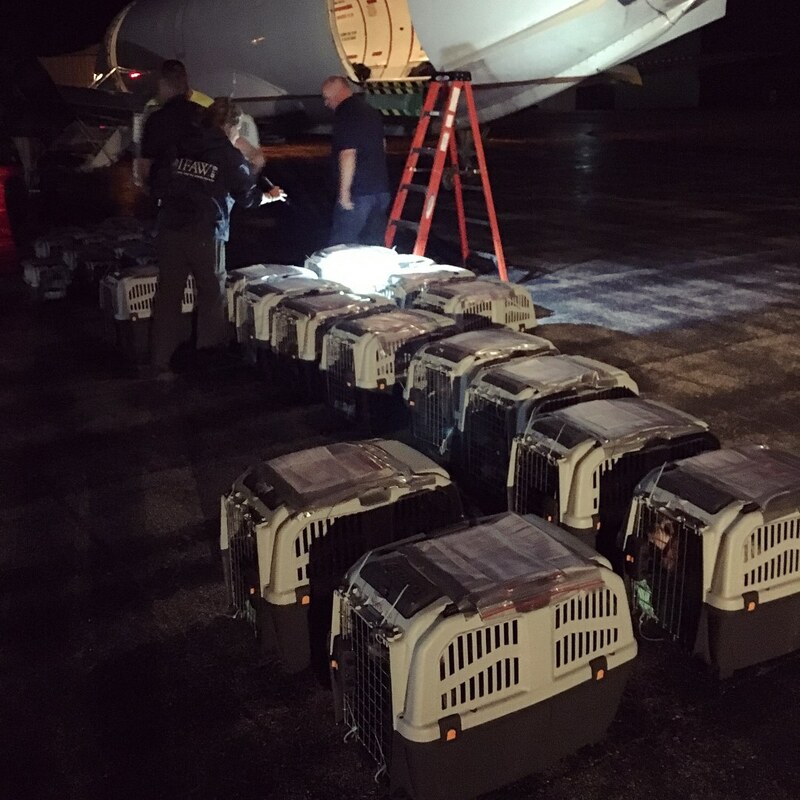 The dogs and cats were safely loaded onto trucks and transported to different MA locations for mandatory 48-hour quarantine. The dogs vary in age and breed, but are all highly adoptable. The ACC had relatively minor structural damage, but has been running off a generator and struggling to keep enough supplies in stock. 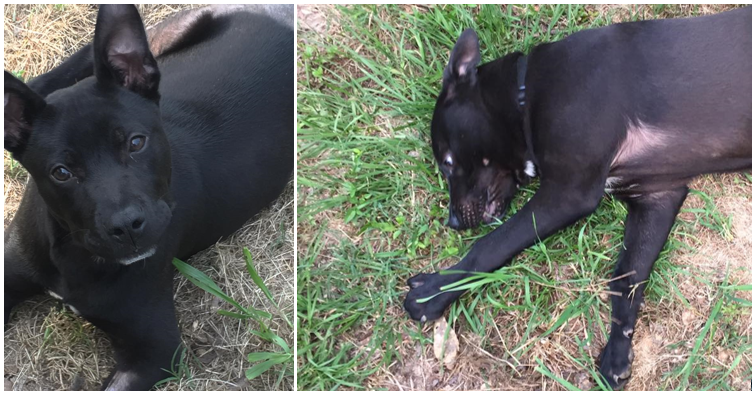 All but five dogs living at the shelter made their way to MA, those five have heartworm disease and are therefore unable to transport into the Commonwealth. Once their 48-hour quarantine is completed and the dogs receive MA health certificates, they will be transported to local foster homes. LHK9 is still seeking temporary foster homes for some of these dogs as well as supplies such as food, leashes, beds, and veterinary services as may be needed. 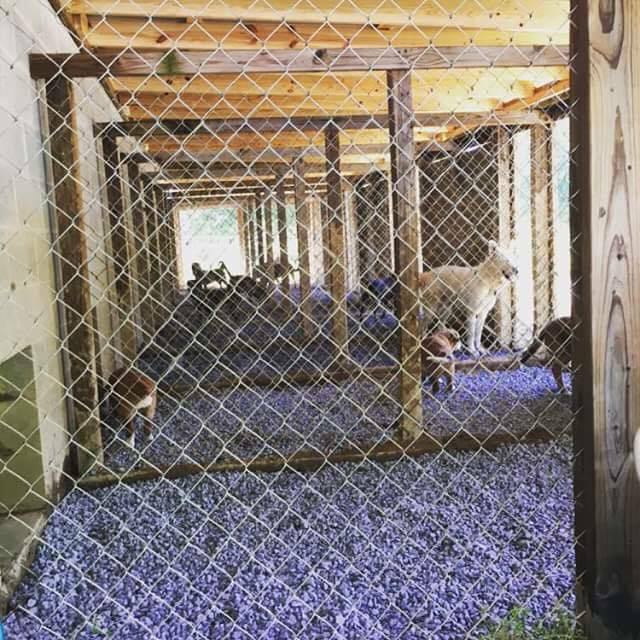 LHK9 has found homes for over 5,500 homeless dogs since its founding in 2012. 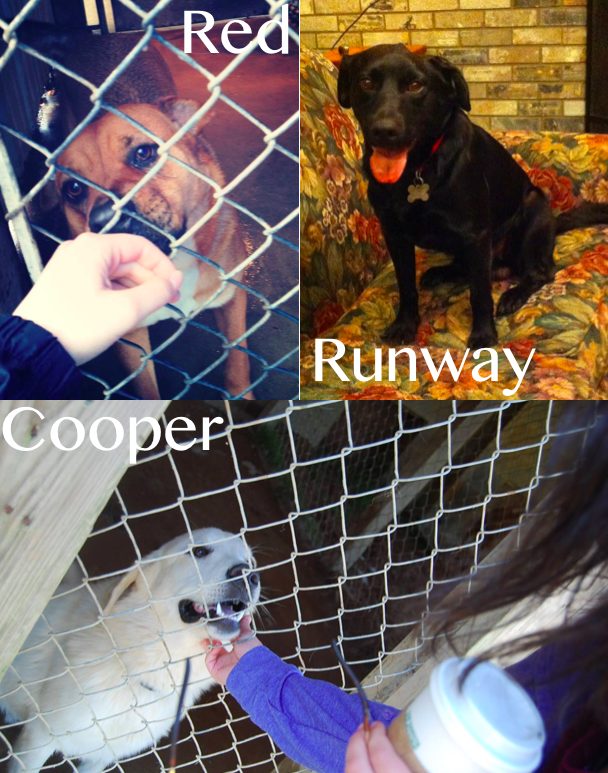 We expect demand to be high for these dogs, and the adoption process will be the same as every other dog in our care. Visit our website for additional information on adopting or fostering: www.lasthopek9.org. Last Hope K9 Rescue is a 501(c)(3) not-for-profit organization that relies completely on private donations and our own fund raising abilities to operate. We receive no federal, state, or government funding, nor do we receive funds from any national animal welfare organizations. We are an all-breed rescue dedicated to saving abandoned, neglected, and abused dogs from high-kill shelters throughout the United States. We don’t discriminate based on age, pre-existing medical conditions, or breed because every animal deserves to know love. As the literal “last hope” of every animal we serve, we work methodically to place each of our dogs within a stable, loving environment that can act as either their forever home or the gateway to their forever home. We worked at 3 shelters today, so be sure to read all the PAWesome entries! My eyelids fluttered open on Saturday morning at 5:15am. Bright eyed and bushy tailed, I lay in my bed eagerly awaiting my alarm clock to start buzzing. As I glanced at my watch, I quickly realized that I still had an hour of sleep left before starting the day. However, much like a kid on Christmas, my mind wouldn’t shut off and let me sleep a moment longer because today is the BIG day. I finally get to visit my favorite shelter, Stuttgart Animal Shelter. What makes this particular shelter so special? Three reasons…SkyBear, Finny, and ChanceMan. 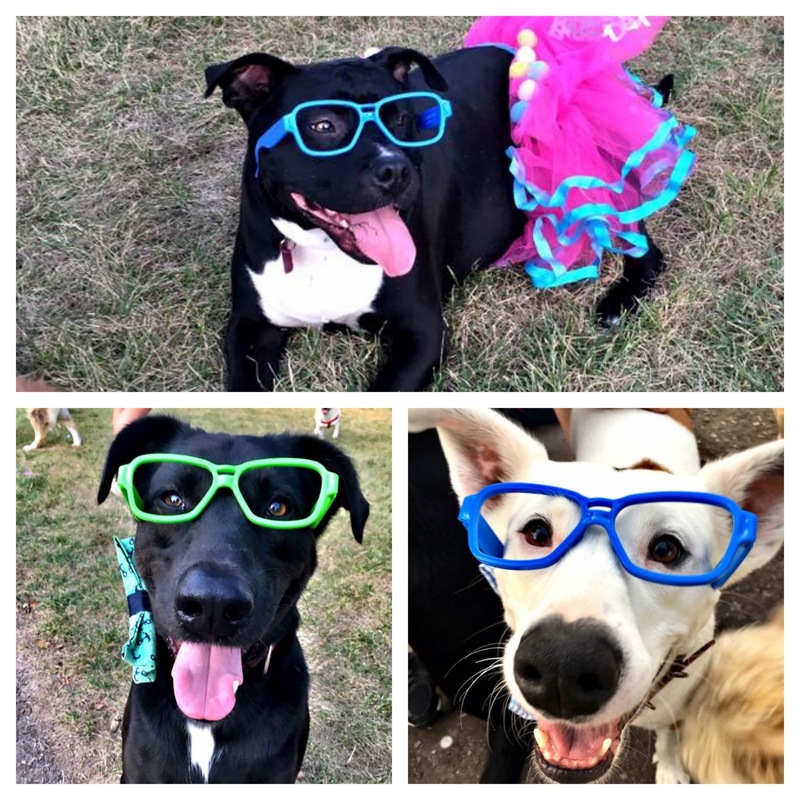 These three best friends all hail from the same shelter in Stuttgart, AR and are now living it up in their FURever homes in Charlestown, MA. More about these special pups in a bit. In order to properly explain Stuttgart, I feel like I need to give you a brief recap of my rescue journey. Four years ago, I began my crazy dog lady life with LHK9, and what a whirlwind it’s been. To say that the dogs and people I’ve met along the way have changed my life is a severe understatement. When I arrived in Arkansas in 2013 for my first trip, I was fresh to rescue and, quite frankly, lived in a bubble, not understanding the dire need to help shelters in our southern states. That first trip was a massive wakeup call. From the moment we touched down back in Boston, I knew I needed to do more. Less than a month later I applied to vet tech school, in hopes to give back in any way possible to the dogs I so greatly adore. For the past three years, I’ve been unable to attend our annual service trip as it was always smack dab in the middle of finals. Stuttgart holds a very special place in my heart. Not only did I visit Stuttgart on my first trip in 2013, but a year after visiting, my soulmutt, my SkyBear was rescued from this very shelter in March of 2014. She had all the odds stacked against her. She was a recent momma, black, a Pit Bull who was heartworm positive, and had a staph infection. This dog, this amazing dog, would be overlooked and most likely euthanized in so many shelters. This special girl had a few wonderful advocates step up and get her out of the shelter and on the road to recovery. She was fostered by the shelter liaison, Sabra, and she and her five pups eventually made their way to Boston. 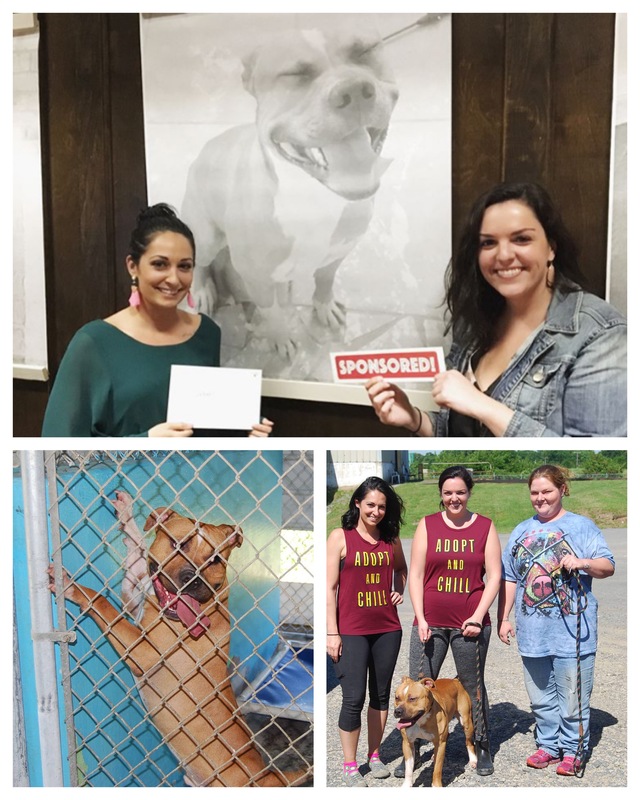 In 2016, we pulled 190 dogs from Stuttgart to come up north and find their FURever homes with the help of our incredible liaisons Haley and Sabra! I must say, coming down to AR four years after my first trip has been nothing short of inspiring. I can see a difference in each of the shelters including Stuttgart because of the amount of support they now have. This year our goal at Stuttgart was to clean, clean, clean (and to stay away from wasps and fire ants while doing so). We scrubbed the shelter from the inside out and man did it feel and look great! 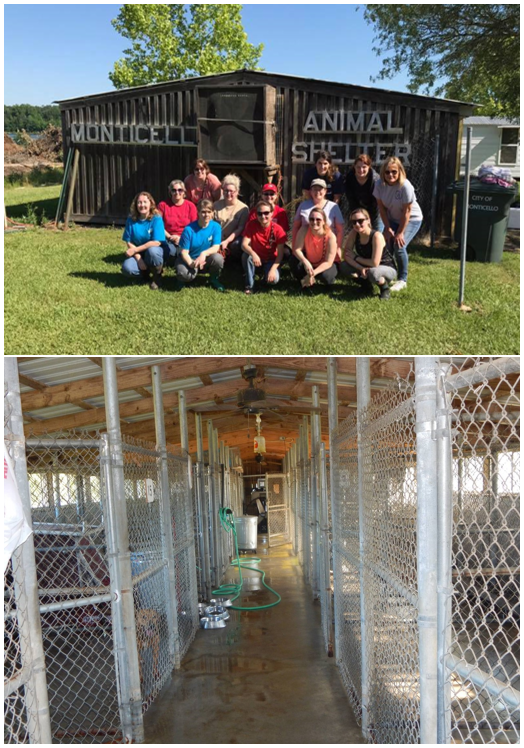 Our team worked so hard to organize the office, storage closet and donations, to scrub every kennel top to bottom, walk and love on each dog, and of course bathe all the pups and trim their nails! 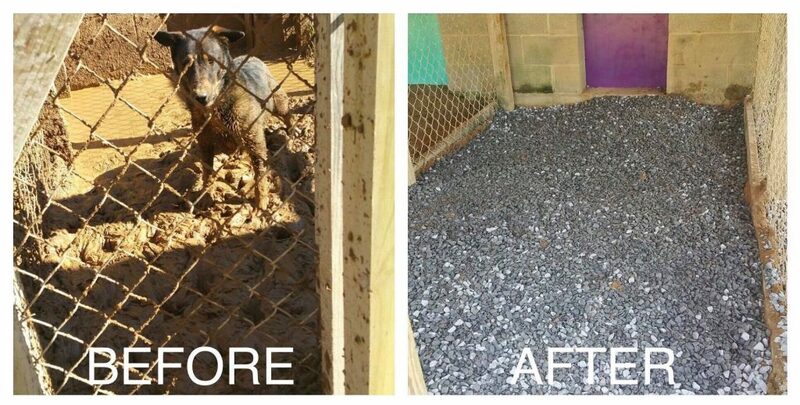 We also cleaned the puppy room and replaced the fencing that kept the pups separated. We even fixed a fan belt and mowed the grass. All the pups got brand new bucket pails for their water, too. Since Stuttgart has some outdoor space, we also built insulated houses there then brought them to our last stop on our shelter list: Hazen. I have to stop to take a moment to give the most heartfelt thank you to all our donors and supporters. We are so blessed to have you in our lives and we couldn’t continue to save dogs without you. 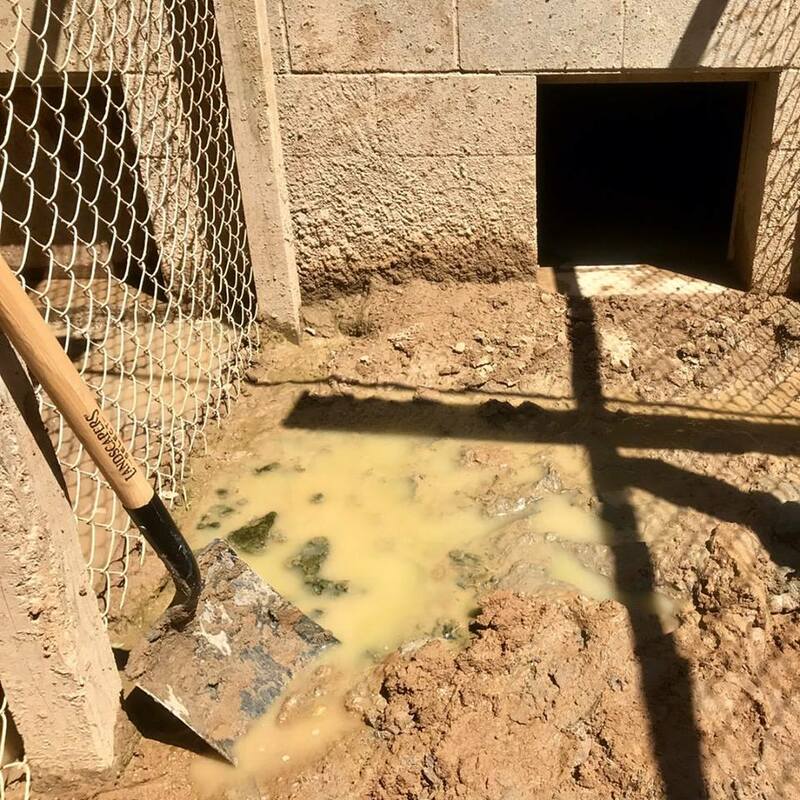 Every single penny that was donated made it possible for us to complete these projects, to ensure that these shelter pups lives are a little bit brighter! While at Stuttgart, I also had the absolute pleasure of meeting the biggest, smiliest Pit Bull you could ever hope to squish! At Rescue Road’s Wine & Wags event the evening before, Jill and I sponsored vetting for Jabari before knowing which shelter he was from. It couldn’t be more fitting that he’s from Stuttgart, and we absolutely cannot wait to get him North and give him a big ol’ smooch! Our rescue community is a kind and compassionate group of amazing souls who want to give back to these special dogs that just need a second chance. I’m lucky I get to call so many of these spectacular humans my friends and family. I’m not kidding when I say most of the dogs we meet end up saving us more than we end up saving them. I’ve always been a firm believer that kindness is powerful. It resonates with everyone it touches, if even for a fleeting moment. Kindness is what I hoped to bring with me to Arkansas this time around and I think our team accomplished that tenfold. Wishing you and your loved ones cold noses ,warm hearts and the pitter patter of happy paws! As a Bostonian, I am used to shelters like the MSPCA and the ARL. 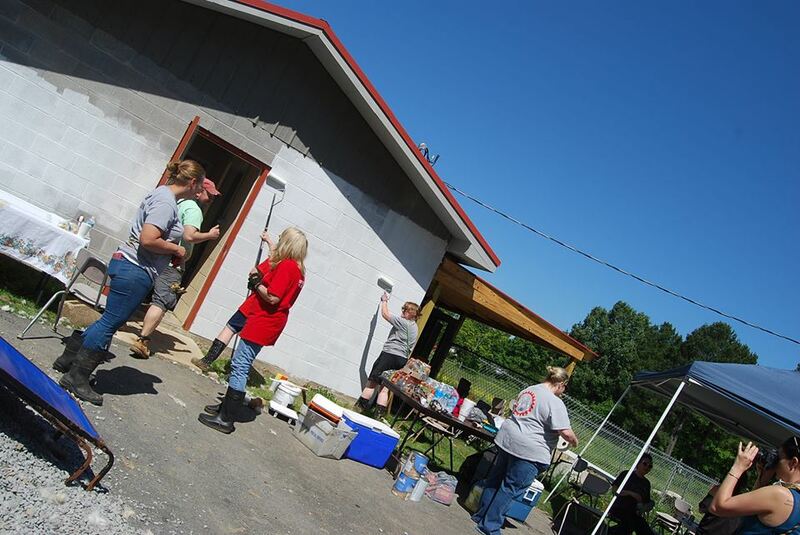 These shelters are bight and clean, have indoor and outdoor spaces for the dogs, are fully staffed, and have tons of volunteers. 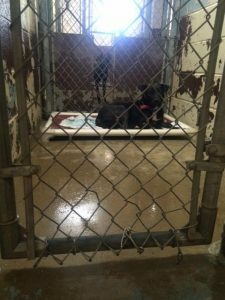 So, I had a difficult time wrapping my head around the conditions at Hazen Animal Shelter. To start, the shelter doesn’t have an address. We had to use the only landmark in the area – the Hazen water tower – to navigate. I quickly realized why; the shelter isn’t an actual building. You can’t really even call it a shed. 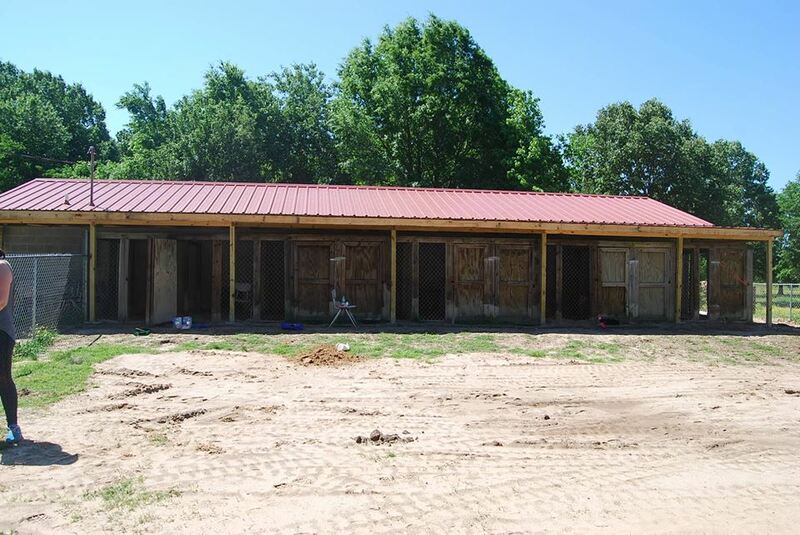 It’s seven outdoor kennels (with a roof, thanks to LHK9 in 2014) in the middle of a field. (I later learned that this is also to prevent people from dropping their unwanted pets off in the yard, but it still happens.) There’s no staff at this shelter. An animal control officer stops by once or twice a day to check on and take care of the animals. The contrast between Hazen Animal Shelter and the northern shelters I am familiar with couldn’t be more stark. But despite the conditions in Hazen, and seemingly against all odds, amazing things are happening. In 2013, the shelter had a 98% euthanasia rate. Stop reading for a second and let that sink in. NINETY EIGHT PERCENT of dogs were killed at the shelter. That means only 2 of every 100 dogs were saved. I still have a difficult time wrapping my head around that statistic. Today, the euthanasia rate is 0%. Yup. You read that right. ZERO. 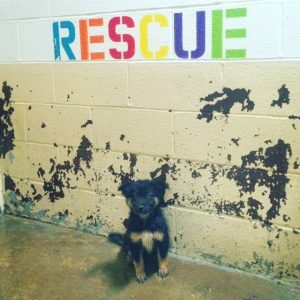 The adoption rate is still low, but every dog at Hazen Animal Shelter will live (unless it is suffering due to severe illness) because of LHK9, Rescue Road (our sister rescue in AR that finds fosters for these dogs), and the thousands of families in New England who adopt their dogs rather than buying them from a breeder. Since 2013, the shelter has undergone a physical transformation too. 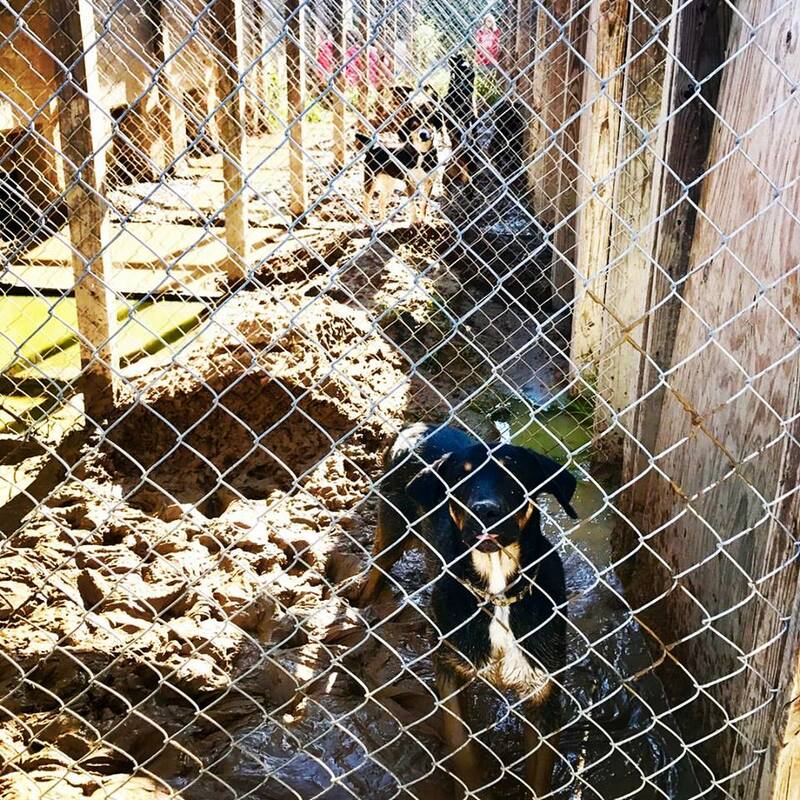 It started out as seven chain-link kennels, completely exposed to the elements. (If you’ve never been to Arkansas, the summers are HOT, the winters are cold enough, and the springs are stormy.) 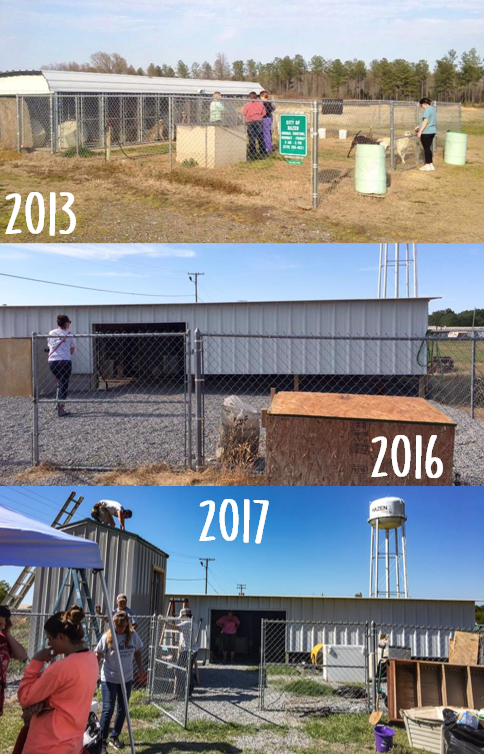 Since then, Last Hope has donated lots of time and money to add a roof and walls, improve fencing and security, and built insulated dog houses. Sabra, the shelter liaison with Rescue Road, said on the hottest summer days, it’s now a full 20 degrees cooler inside the kennels thanks to the roof and the dog houses! 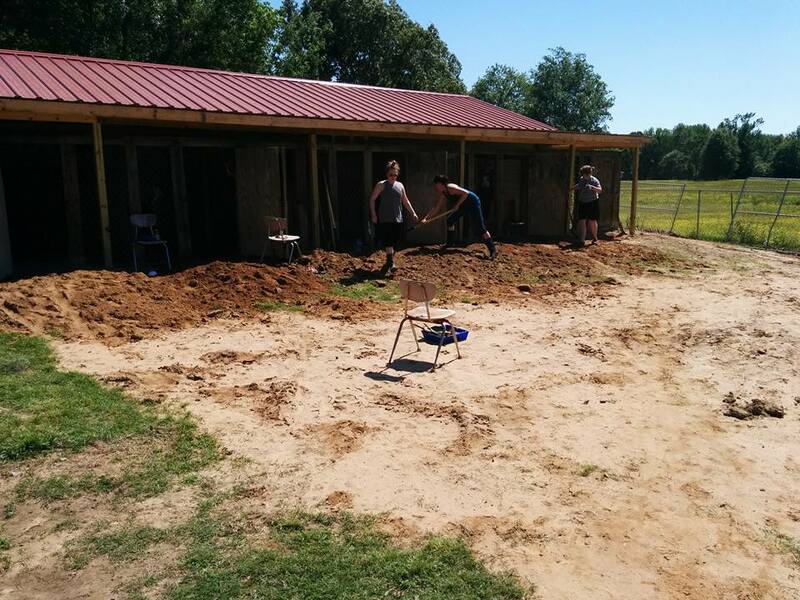 This year, we planted trees for additional shade, built a shed for storage of food and supplies, and paid to have power run to the shelter for the first time ever. These projects were only possible thanks to the generous donations that LHK9 received to fund our service trip. 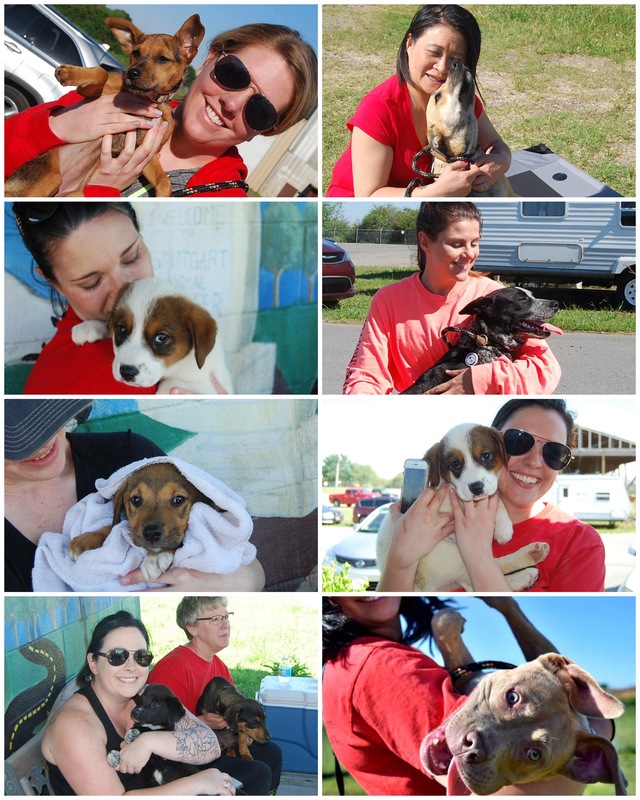 All the dogs also got walks, baths, snuggles, and vaccinations and tests while their kennels were deep cleaned. While it’s always hard leaving dogs behind at the shelter, I was filled with pride and hope as we pulled away from Hazen. Sometimes, rescue work feels overwhelming. It can feel like all of your hard work is never enough. But change is happening. Hazen Animal Shelter is a clear example of that. We ARE making a difference. Foster. Donate. Adopt. It matters. It saves lives. Today, we split into two groups, with my group heading off to Monticello Animal Shelter for the morning. We met Meri, our liaison, in town and followed her to the shelter since it doesn’t really have an address to plug into the GPS. The shelter is next to the town dump and a sewage pond. You can imagine the smell is not the best and apparently, the pond attracts snakes. Thankfully we didn’t see any although we saw buzzards hovering around. 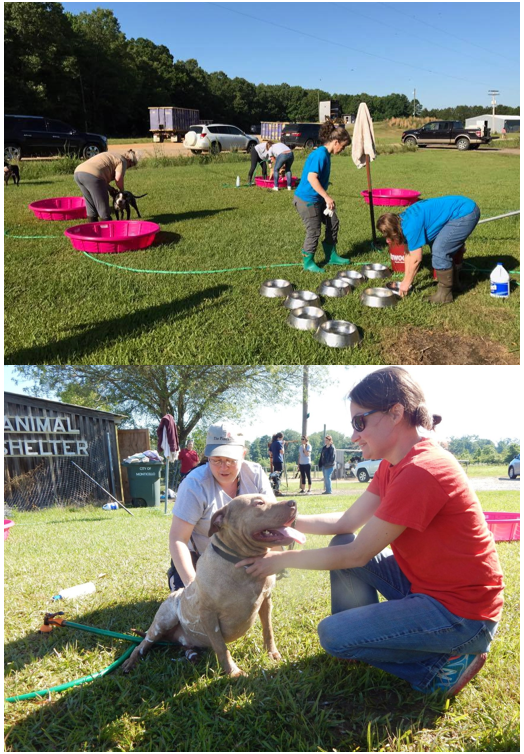 Upon arriving at the shelter, we were met by a team of enthusiastic volunteers and got right to work taking dogs out for walks and baths. The dogs were very excited and one of our volunteers commented that walking Tank – a particularly sturdy boy – was like walking a boulder with wings! The shelter is small, with only 16 kennels and the volunteers worked on cleaning them while we had the dogs out in the sunshine (although the kennels were surprisingly clean already – probably the cleanest ones we had seen). We also tested 5 recent arrivals for heartworm, and 4 of them were negative – an amazing percentage! When we were done at the shelter, the volunteers graciously invited us to a local business to enjoy a light brunch (and homemade bath bombs!). 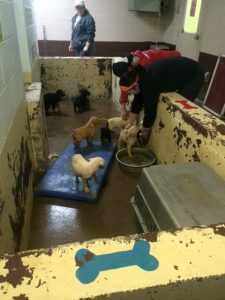 As we talked to them about the shelter and the dogs, the passion they have to save them was evident and I don’t think there was a dry eye in the place as they talked about the challenges they face every day. Meri summed it up by saying “I feel like I’m chipping at an iceberg with a toothpick”. 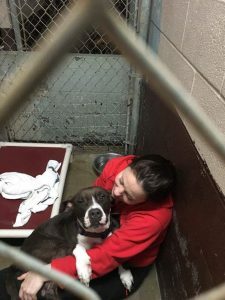 They have almost zero local adoptions, and although they have been fortunate enough to find a couple other breed specific rescues to help, LHK9 is the only rescue that will take Pit Bulls…and they have plenty of those. They were very amused by us *crazy* northerners who actually pay people to walk our dogs or put them in doggie daycare! Monticello is a strong hunting community and dogs are only considered useful for 2 months during hunting season. After this, the hunters believe it’s cheaper to get rid of the dogs and get new ones next hunting season, instead of paying to shelter and feed them for the next 300 days. So, they either turn them loose in the woods, shoot them, or dump them at the shelter. 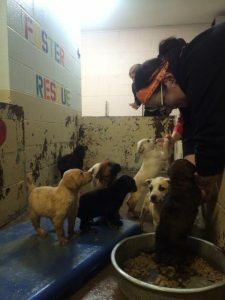 On a more positive note, this group of rescuers has a good working relationship with the Animal Control Officer and he takes the little dogs and puppies to a local grooming salon run by one of the volunteers so they don’t sit in the shelter. The volunteer boards them there while they get vetting and await adoption or transport to a rescue. 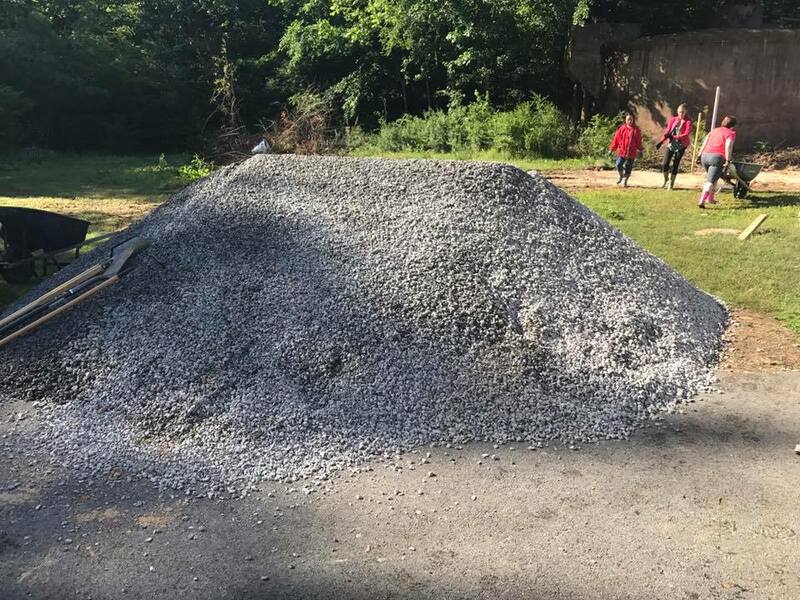 Although we haven’t done any major infrastructure projects at Monticello as we have done at the other shelters, they are deeply appreciative of all the support we have provided. We heard the story of Tyson, a puppy that was put on a logging chain, got loose, was runover, and then put back on the logging chain with no medical help. A neighbor called the ACO because he was crying nonstop. When they called LHK9 for help to pay his medical bills, the answer was an immediate “of course”. He’s now been through surgery and will be on his way North when he has recovered completely! 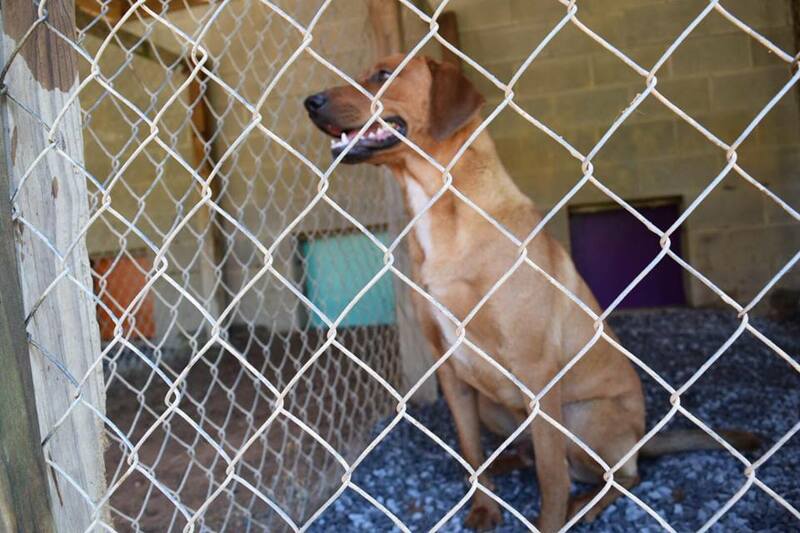 The Monicello shelter volunteers were overwhelmed – as I usually am – with the generosity of LHK9 and its supporters. Thank you! 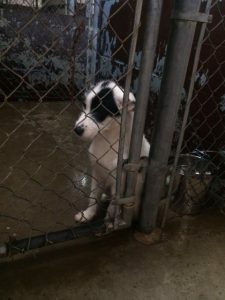 When I first visited Bald Knob Animal Shelter back in 2013, I experienced a sort of culture shock. We were told stories of teenagers pouring vodka down a puppy’s throat and placing him in the road to see how long he could survive in traffic, and of disturbing small town politics I won’t mention here. There seemed to be little interest/investment in saving the dogs of BK, other than desperation and passion of the Animal Control Officer. 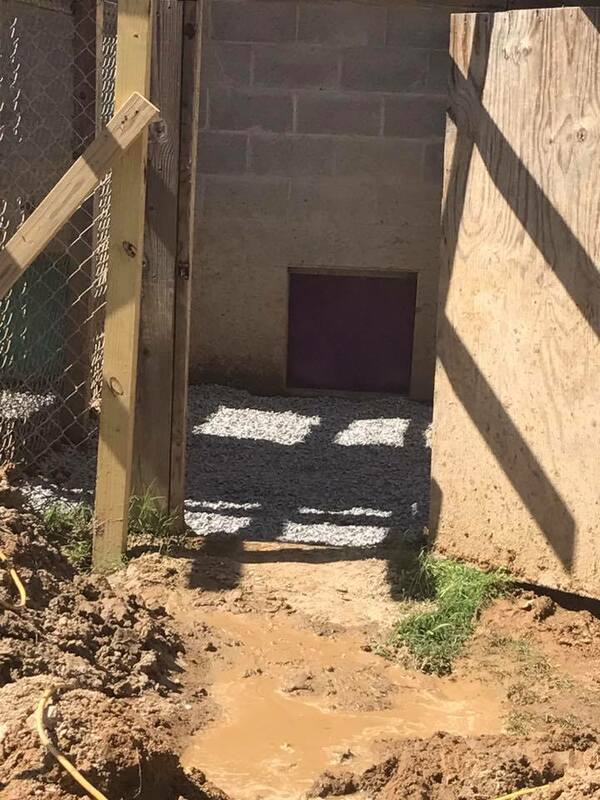 The shock continued upon arriving at their old shelter. It was a tiny building that resembled a shipping container. 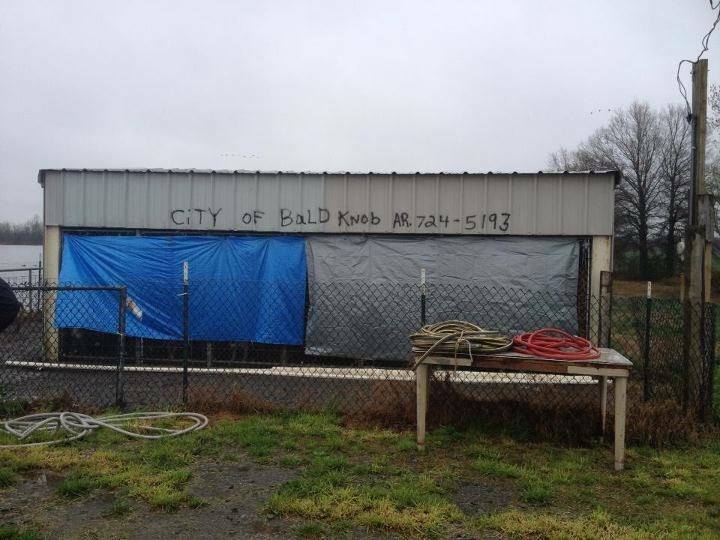 The shelter’s information was hastily written in spray paint, the front opening protected only by sheets of mismatched tarp. This was the “old” shelter, as they’d just built a new one, but it was still full of dogs. We then went to the new shelter which, while still not comparable to what I’d known of shelters in New England, was an incredible improvement. It was also full of dogs. I actually won’t talk much about dogs in this post (weird, I know) but have to mention a few! There were two dogs I met that day in 2013 that I will never forget. Red had been at the old shelter for an entire year. Her big golden brown eyes cut right through me from behind the tarp as I tried to squeeze my hand through the kennel to pet her. She helped by pressing her entire body against the chain link to get as close as possible. 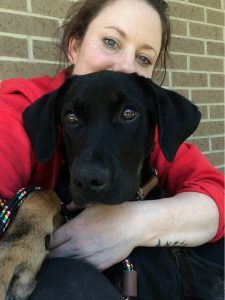 Red came up to Boston about a year later, after completing heartworm treatment, and was adopted by her foster mom! Then there was Runway, in the new shelter, who was found on a runway with half of his head caved (presumably bashed) in. 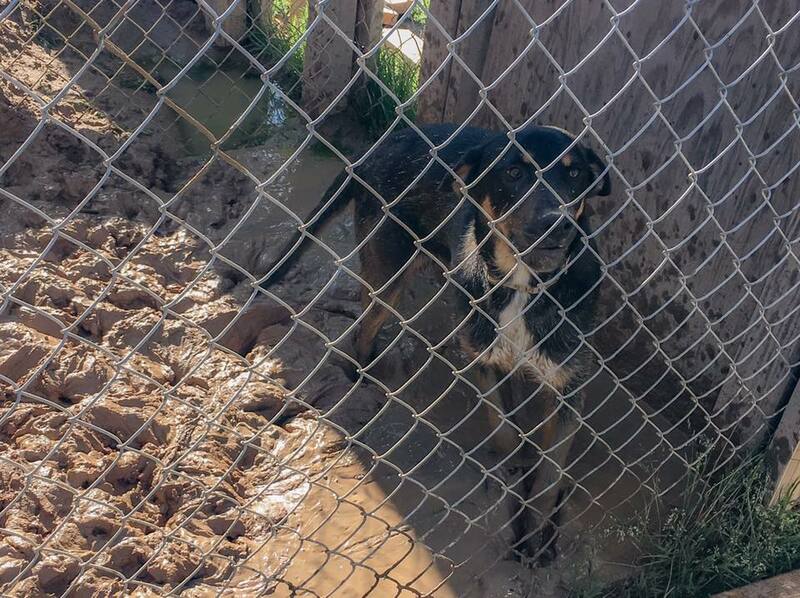 He was terrified and withdrawn, not moving from the corner of his cold, hard kennel, and hardly looking at us. Runway, too, underwent HW treatment and came to LHK9 where he found an amazing, patient family! I’m now excited to be sponsoring HW treatment for a dog currently at BK, who reminded me a bit of Red. Cooper is a gorgeous Retriever/Great Pyr Mix who looked at me and melted into my hand just as Red did 4 years ago. I will begin fundraising for Cooper soon, and once he finds a foster, he will begin treatment then make his way to Boston! I was nervous and excited to visit BK yesterday, after so many years. I try to put on a strong face when visiting the AR shelters, especially in front of the local volunteers who deal with things we cant even imagine, but I was overwhelmed with emotion yesterday – all for positive reasons (which isn’t often the case in rescue!). There’s new ACO and a new city councilman who have worked together closely to help transform the shelter in many ways. While we were there working, some local kids rode their bikes over to see what was going on and decided to stay and help us with our projects. To me, this was a sign that the town is no longer turning their backs on the animals. That maybe they’re even starting to care. 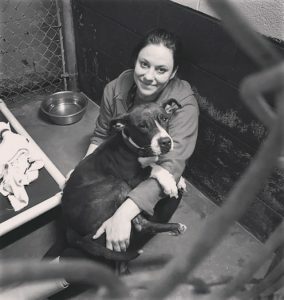 Not only has the shelter changed structurally, but the mentality toward animals seems to be changing, and I can’t help but burst with pride in knowing LHK9 had a small part in that. Physically, this was our most difficult day so far. We had a long list of grueling projects, and thanks to your donations we nearly completed all of them! Our biggest objective was to fix their flooding problem. Every time it rains, the kennel runs (which were packed dirt) flood and the dogs end up standing in ankle deep puddles/mud. This also creates a breeding ground for disease, which is not only dangerous for the dogs but for the ACO as well. We dug out every run, some of which were dry and packed like cement, and then filled them with gravel to help alleviate the flooding. 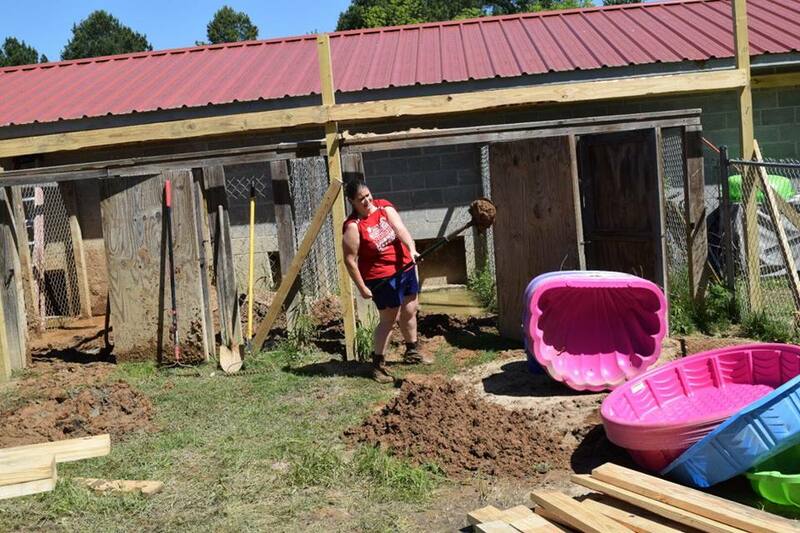 We also installed roofs on each side of the shelter to lessen the amount of water that pours in, and to provide the dogs with more shade. Additionally, new fencing and gates were installed to create a second play area, allowing more dogs to be out at a time. 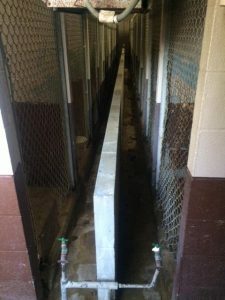 For some aesthetic improvements, we painted the front of the shelter and each metal door that separates the inside kennels from the outside runs. We also sealed all the outdoor wood to prevent mold, decay, and disease. 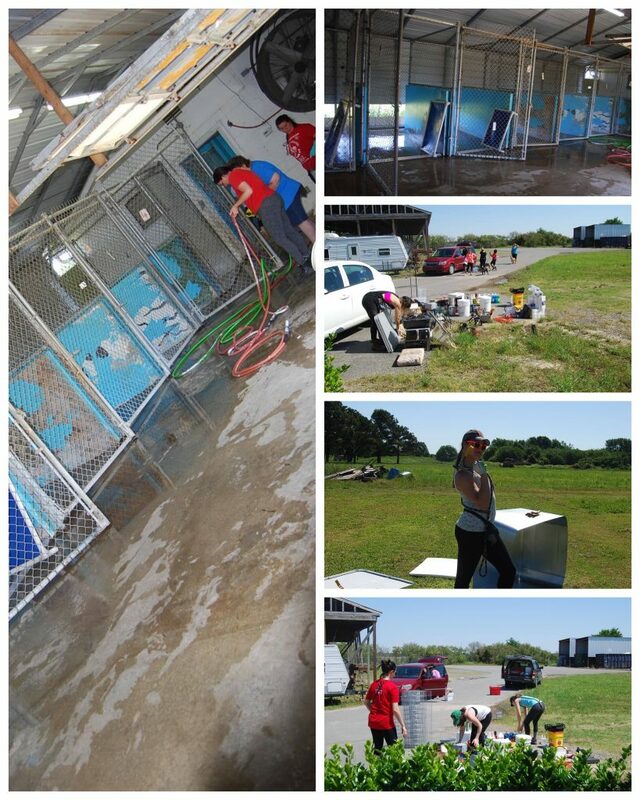 And of course, we cleaned kennels and bathed, tested, and vaccinated the dogs! Before LHK9 started working with BK in 2013, their euthanasia rate was 98-99%. It is now maybe 1% (dogs who are suffering beyond treatment or who are severely human aggressive). It’s truly amazing to see how much has changed in 4 years, not just structurally but the politics and mindsets, and I look forward to seeing progressive change as we continue our partnership! It’s still dark out when our alarms go off. Exhausted from traveling and our first day at the West Memphis shelter, we pile into a large van and drive sleepy-eyed to Pine Bluff Animal Control Center. There is a different mood on our ride today. Before we get there I’m warned I need to prepare myself for Pine Bluff. This is considered the hardest shelter to visit and my fragile heart is already flinching at what I have yet to see. If ever there was a place to break you it is surely here. 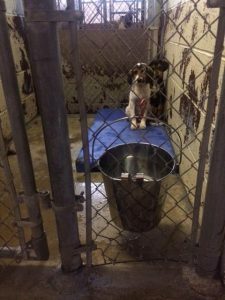 Knowing that my very own dog (Oliver) came from this shelter last year doesn’t help. A group of well of over 20 of us huddle in the parking lot upon arrival to strategize the day. Steph, a LHK9 coordinator, tells us if we need to take a break and cry it’s OK. We can escape to the car or the outside for a breath when we need to. My heart thumps harder with anticipation. Upon entering the shelter things seem promising. The facility is much more impressive than the prior day, with a shiny white lobby and manicured lawn. But this is just a facade. Once you get through the initial offices and holding areas, you reach Quarantine. Low lit rows of damp dank kennels seem to go on forever. The smell is almost unbearable and the sharp cries from dogs echo loudly. 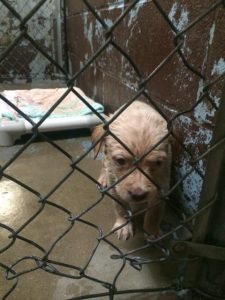 Inside any given kennel you’ll find a sopping wet dog or young puppy staring up at you with terror filled eyes. They’re afraid, and they should be. Most of them may not make it out. Whether from illness or euthanasia, for some of these pups this is death row; their last stop on what was likely a short and miserable life. This is especially true for those labeled “pit bull”. Due to breed restriction laws in Pine Bluff, pit bulls cannot be adopted out. Their only hope is being selected by a rescue organization and transported. Their hope is almost non-existent. And you feel it. You feel all of it. The desperation washes over me and tears flow down my cheeks. The only answer is to get to work. Make yourself useful. Keep your mind busy. And so we do. We divide into groups. One by one the dogs are taken out for walks. Sunlight grazes their faces and grass cushions their paws, even if just for a few minutes. Those of us not walking pups are quick to bleach and hose down the filthy kennels, which mostly consist of cold hard slabs of concrete covered in excrement and loosely secured by rusty fencing. Some members of our team also get to work on repairing these fences with the new materials we’ve purchased through our fundraising campaign (thank you donors!). Each dog is given a warm bath, a nail trimming, and as much TLC as possible. We also take turns bringing the dogs in small groups to receive heartworm testing and vaccinations. The majority of them are heartworm positive and will require treatment if they are allowed to survive. The day is long and at times grueling. Between caring for as many dogs as I can, I take on the chore of washing vinyl dog beds and placing them in the kennels. This means actually getting into the kennel with the dog and each time I try to stay a moment and give them some affection. My breaking moment comes when I bring a bed to a mama pit bull whose been staring at me for hours through her gate. I place her bed down and try to coax her onto it. “See mama? I has a bed for you! You’re such a good girl”, I tell her. Instead of checking out her bed she plops on top of me. She nuzzles her boxy head into my neck and forces me to hold her. I realize in this moment that she will likely never leave this small kennel. I begin to sob so hard I can barely see. I lay against the wall and hold her to me. She licks my face and attempts to comfort me. This dog, who is afraid for her life, is comforting ME. Not the other way around. If that doesn’t speak to the immense capability dogs have to love, and forgive I don’t know what does. I stay with her for as long as I can, but there is still much work to be done. Leaving her kennel and saying goodbye is like a knife in the heart. “Don’t look back, don’t look back, don’t look back”, I whisper to myself. I look back anyways. Regret sinks in. After 8 hours of hard work and many accomplishments, we pile back into the van and head home. I replay the day in my mind. All the faces of the dogs we met. The bitter unfairness of breed specific legislation. I’m sad but I try to tell myself we are doing all we can. It’s up to the world to change the way we treat animals. I have to have hope. Let’s get going, world. The pups of Pine Bluff need you.